The most recent addition to our fleet after a major refit in 2009, the 96-metre wave piercing catamaran is the largest vessel of its kind in the Irish Sea and offers passengers a great experience of fast and comfortable travel to the Isle of Man. Our new fastcraft has continued to impress passengers with her bright, spacious accommodation offering a variety of seating areas, including two cinema lounges, a large café bar area at the stern and the Coast-to-Coast café. 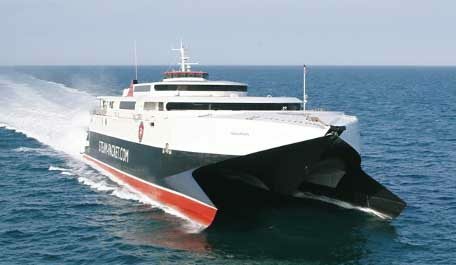 For those wishing to travel at a more leisurely pace, our conventional ferry Ben-my-Chree is without question one of the most reliable ships ever used by the Company in our 180-year history. 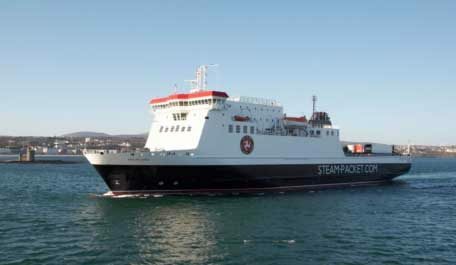 The Ben-my-Chree also offers 4 berth en-suite cabins with TV and complimentary tea and coffee making facilities.